People have two main gripes about Starbucks: the first is how its baristas tend to misspell their names and the other is about its holiday cups. It’s that time of year again, but the brand is giving you little to complain about its seasonal drinkware. 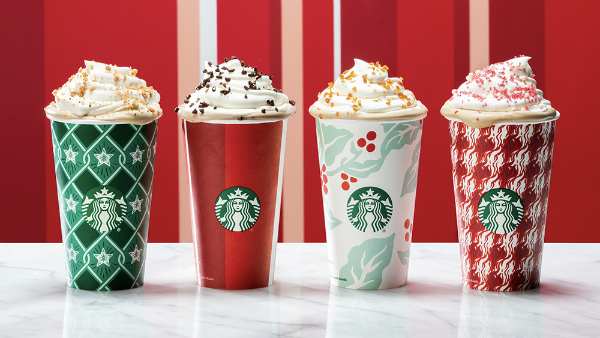 The chain has just unveiled four holiday cups for 2018 that are seasonal yet inclusive, but come without the controversy of 2017’s variety. This year’s selection comprises red-striped; green argyle; coffee cherries; houndstooth designs. 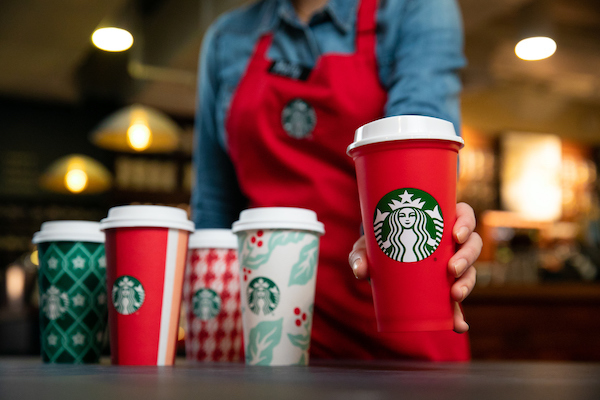 The first design, ‘Stripes’, is an extension of 2015’s one-tone red cup. This time, it’s also adorned with cranberry, white and rose gold bands. The cream-colored ‘Flora’ cup reprises 2013 and 2017’s eye-popping coffee cherries, which stand out against a background of pastel leaves. Starbucks’ twist on the quintessentially Christmas pattern, the houndstooth, is the ‘Espresso Houndstooth’ cup that takes cues from the chain’s ‘Christmas Blend Espresso Roast’. Lastly, ‘Stargyle’ is a reboot of an illustration from 1999 that showed a couple placing a star on a pine tree. This pattern features twinkling stars and diamonds against various shades of Starbucks’ green. Along with the four designs, the brand is also ushering in a reusable coffee cup that’s only free to collect on 2 November. 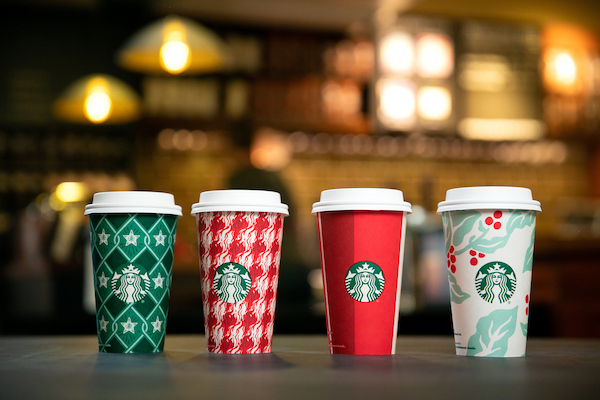 Patrons in the US and Canada who bring this drinkware to participating outlets between 3 November and 7 January will get US$0.50 off their grande holiday drinks after 2pm. 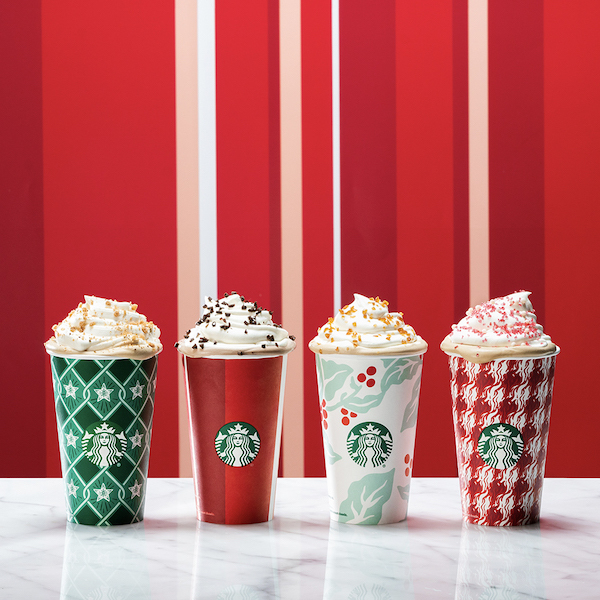 Starbucks is certainly brewing great things this festive period.